The Victoria hotel architecture is a unique colonial style that gives it a special character. 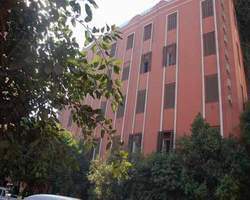 It has a distinctive location in the heart of Cairo with an easy access to all main and major attractions. The Egyptian Museum is only 15 minutes away and Cairo Train Station is within a walking distance, also the world wild known Khan el Khalili Bazar is about 10 minutes or less. - The Hotel will be on the right side. In house restaurant Open 6 - 10.30 am for breakfast, 12 - 3 pm for lunch and 6 - 11 pm for dinner (menu guide price 34 US Dollars).